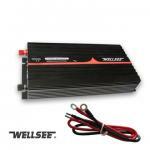 WELLSEE WS-P5000 solar inverter manufacturer _Sine Wave inverter_Products_Physical therapy,health product,therapeutic apparatus,Electro Acupuncture,Medical Supplies are best selling on our website! 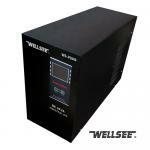 Pure Sine wave output: WELLSEE WS-P5000 solar inverter manufacturer Can offer sensibility load and other kind of loads, such as electric fan, refrigerator, air-condition, electromotor and computer and so on. 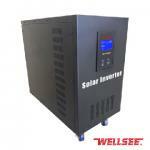 WELLSEE WS-P5000 solar inverter manufacturer has a diversity of input and output ways: 12V input, 24V input, 36V input ,48V input; 210V~250V Voltage output and the power 5000W,which can meet the demand of both domestic and international users for mobile alternating current. really high quality and output, thanks. pure sine wave, true and excellent performance. The performance is good, but a little heavy.